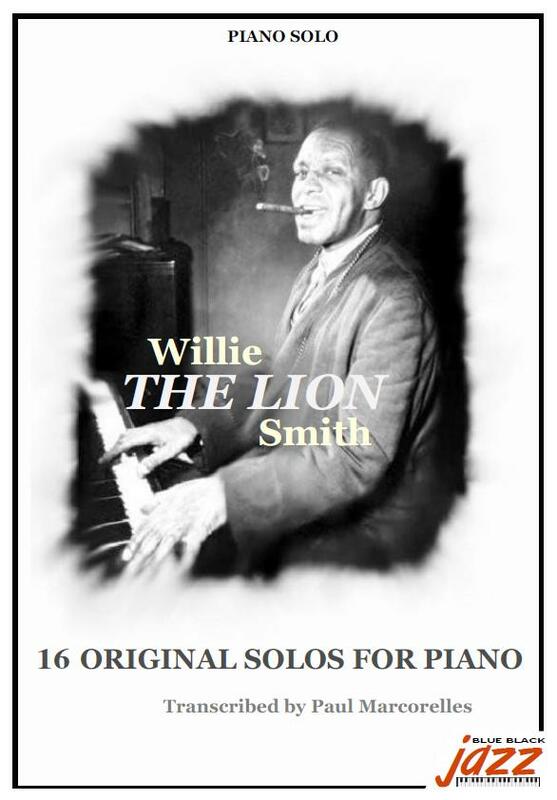 Willie Smith the Lion was another famous Stride piano player of Harlem nights. He quickly stood as an unusual pianist and a wonderful soloist, a matchless « keyboard tickler ». He was given the nickname of « the Lion » during the rent-parties and the well-known « cutting contests » improvised at the end of the nights in the smoky clubs where artists confronted each other using their most impressive feats on the piano. In this night world of music, he was as the « king of the jungle » waiting for those who would dare to confront (challenge) him on the piano. Most of his opponents gave up in front of his virtuosity. 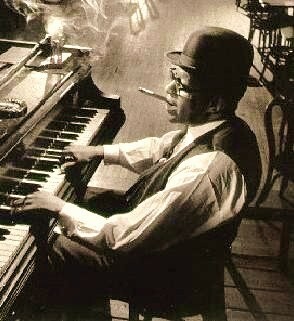 Because of his appearance (he always wore a Derby hat -or bowler hat - and smoked a cigar), his strong personality and his unique way to play the piano, he was one of the greatest stride piano players. 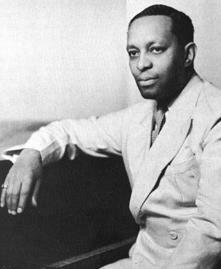 From the 30's, when nights in Harlem were more quiet, he started recordings. We discover then his original compositions recorded in 1939 under the quality label Commodore, 14 titles among which some masterpieces : Echoes Of Spring, Rippling Waters, Sneakaway, Finger Buster... Although he borrowed to the game of his contemporaries James P. Johnson and Eubie Blake, Willie Smith developed his own technique : a lighter touch on the keyboard than Waller though a little more risky, but with less virtuosity than Johnson. He neglected the "game of pomp" with the left hand and preferred to use a "swing of arpeggios" which gave poetry and lyricism to his pieces : Fading Star, What Is There To Say?, I'll Follow You...). Billy Strayhorn (composer and arranger for Duke Ellington's orchestra) described his style in this way : « It is a strange mixing of "counterpoint", chromatic harmony and arabesque devices as fresh to the ear as a spring water for the palate ». You just have to listen to Echoes Of Spring to understand the very peculiar sounds which Willie Smith achieved to play. As the last survivor of the 'Big Three' of stride piano , The Lion made recordings and concerts onto the sixties, with the same style and always remembering the old time of Harlem and his old friends.